A cancer is defined as an uncontrolled division of cells, which leads to the formation of cell lumps called tumours. Such uncontrolled cell division occurs due to certain genetic changes that lead to the loss of contact inhibition (property by which cells in contact with other cells ensure that cells grow in a single layer). Metastasis is defined as the situation where the cell lumps from the original cancer move to other body parts through the blood stream or lymph system. These masses of cells, thereafter, destroy and invade healthy tissues. The name of the metastatic cancer is named after the organ of origin and not the organ to which it spreads. The property by which tumours show metastasis is called malignancy. For malignant cells continue to grow and divide, they ensure a constant blood supply by developing new blood vessels, called angiogenesis. 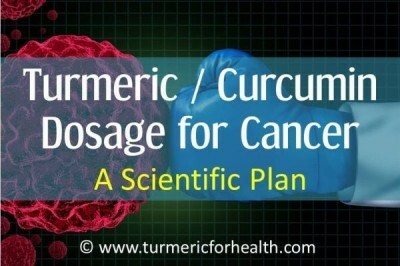 How turmeric prevents cancer metastasis? Turmeric, a common spice in everyday meals, has been used in Ayurvedic medicine since ancient times. Curcumin, the major active ingredient present in turmeric, has been shown to possess anti-cancer properties. Turmeric helps in the inhibition of genes involved in cell migration and angiogenesis, two important properties of malignant tumours. 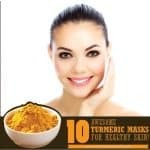 Furthermore, turmeric helps in the activation of proteins that are involved in the arresting of the cell cycle and cell death, thus preventing uncontrolled cell division. 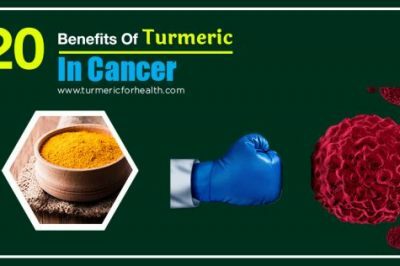 Turmeric is also involved in the suppression of oncogenic micro-RNAs, thus activating the tumour suppressor tumour proteins. These properties of turmeric will be discussed in details in the following sections. Also, the dosage, side effects and precautions of turmeric will be discussed. Metastasis occurs due to uncontrolled division of cells. Thus, a plausible way to prevent this is to arrest the cell cycle. Research has shown that one of the reasons behind lung metastasis of breast cancer cells is over-expression of Aurora-A, an oncoprotein (proteins which transform normal cells into cancerous cells). Aurora-A consists of a family of kinases (an enzyme that catalyses phosphorylation) and are essential for cell proliferation. 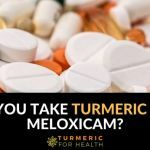 Research has shown that treatment of breast cancer cells with turmeric leads to the inhibition of metastasis by reducing the expression levels of Aurora-A, paralleled with cell cycle arrest. What it means? Turmeric helps in arresting the cell cycle, and thus inhibits uncontrolled cell growth and metastasis of breast cancer cells. Many forms of tumours like lung cancer or breast cancer tumours secrete Parathyroid hormone-related protein (PTHrp), a condition that causes hypercalcaemia. Hypercalcaemia is a condition characterized by increased calcium levels in blood. Bones are sites of metastasis for many forms of cancer such as breast cancer , renal cell carcinoma, etc. Research has shown that hypercalcemia is one of the important drives of cancer bone metastases. 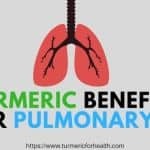 Studies have shown that curcuminoids present in turmeric can inhibit the secretion of Parathyroid hormone-related protein (PTHrp), hence reduce chances of cancer bone metastases. Of the various types of cancers seen in the thyroid gland, papillary cancer is the most common form. One of the most common features of malignant tumours is angiogenesis or development of new blood vessels to facilitate blood supply to the new cells. Of the various proteins involved in angiogenesis, matrix metalloproteinases play an important role in the invasive and malignant nature of tumours by contributing to angiogenesis. Studies have shown that curcumin has the ability to prevent cancer invasion and malignancy in papillary tumour cells by down-regulating the expression of matrix metalloproteinases. What it means? Turmeric can inhibit the malignancy of tumours by stopping blood supply to the newly developed cancer cells. NF- κβ is an important cellular signalling pathway involved in the progression of cancer by activating various genes that could lead to uncontrolled cellular growth. 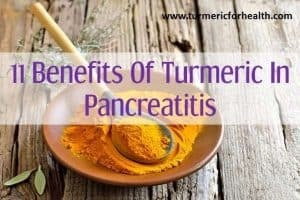 Research has shown that turmeric inhibits the activation of NF- κβ pathway and also gene products activated by this pathway that are associated with cell proliferation, survival and metastasis of cancer cells. What it means? Turmeric can play a major role in inactivating gene products that cause cancer metastasis. 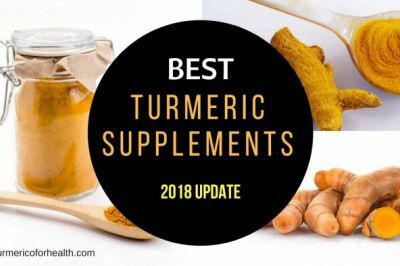 Curcumin, the major active ingredient present in turmeric, due to its very low bioavailability has not exhibited clinical effects. Hence, various attempts have been made to engineer its bioavailability in the system. One such attempt involves curcumin encapsulated in nano-particles (NanoCurc) with enhanced bioavailability in body tissues and body plasma. Research has shown that the administration of these nano-particles has shown a significant inhibition in the initiation of tumour growth in pancreatic cancer models by modifying the expression levels of various genes that control the cell cycle. 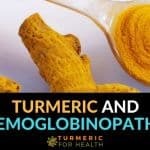 This is an interesting topic and I am researching on nano curcumin right now. Will get back with detailed article on that soon. What it means? Curcumin, with proper bioavailability, can inhibit tumour growth and metastasis of cancer cells. Heat shock proteins are a group of molecular chaperones (proteins that cause proper folding of polypeptides and enzymes) that help in stabilizing the proteins in response to stress. Studies have shown that dysregulation in the expression of heat shock proteins is implicated in various forms of cancers by playing a crucial role in tumour proliferation, cancer metastasis, cancer progression, etc. Research has shown that curcumin activates the tumour suppressor heat shock protein DnaJ-like heat shock protein 40 (HLJ1) and exhibits a reduction in cell migration and cell invasion depending on the concentration. What it means? Curcumin activates tumour suppressor heat shock proteins and prevents cancer metastasis. The main property of metastasis is cell migration that is the movement of cells from one part of body to another. Hence, inhibition of proteins involved in cell migration can play a crucial role in preventing the malignancy of tumours. One of the proteins involved in cell movement, cortactin, has been found to be expressed beyond normal levels in cancerous cells. The over-expression of this protein has been attributed to the migration of cancer cells. 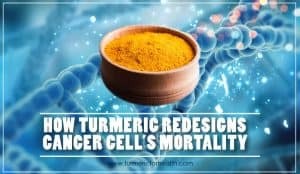 Research has shown that curcumin, the active ingredient of turmeric, helps in blocking the protein cortactin involved in cell migration of colon cancer cells. What it means? Curcumin inhibits the proteins involved in cell migration, thus stops cancer cells from becoming malignant. Micro-RNA is defined as a short segment of ribonucleic acid or RNA (nucleotide sequences that code for proteins) that restrain the expression of its target proteins. Dysregulation of micro-RNA expression has been associated with various forms of cancers. One such micro-RNA, miR-21 suppresses the expression of its target tumour suppressor protein, Programmed cell death protein-4 (Pdcd4), and its high expression has been associated with colorectal cancer. Research has shown that curcumin inhibits miR-21 expression, and thus stabilizes the expression of tumour suppressor protein Pdcd4. What it means? Turmeric inhibits oncogenic micro-RNAs, thus upregulates the expression of tumour suppressor proteins. 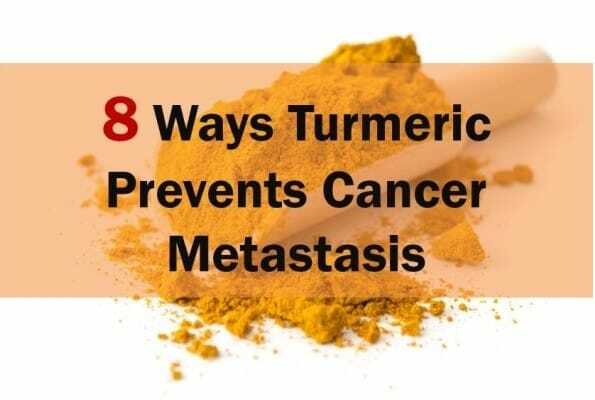 Although the exact dosage of turmeric for prevention of cancer metastases is not prescribed, it can be consumed on a daily basis in our diet. 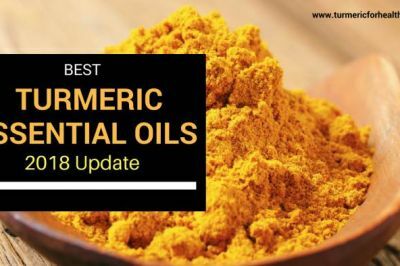 However, turmeric has very poor bioavailability; hence, it is suggested that one consumes it together with black pepper to improve its absorption in the body. The recommended / safe dosage of turmeric (and its various forms) vary. 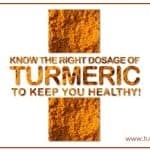 For example, for turmeric powder it is about 4 gms per day. Note – these are dosages which one can take every day without any issues, but one can take higher dosages too in case of disorders. Turmeric as a spice is not known to have any side effects. 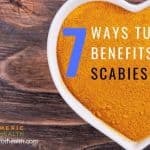 However, people allergic to turmeric should avoid it, else may develop rashes, inflammation, etc. 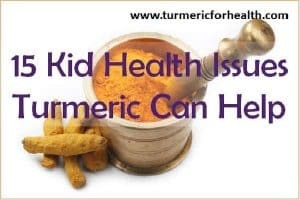 Turmeric as spice is very safe, but precaution should be taken when taking turmeric supplements. Also, precaution should be taken by lactating and pregnant women while taking turmeric supplements. Moreover, patients with gall bladder stones and patients having medications for “blood thinning” should consult the doctor before having turmeric. 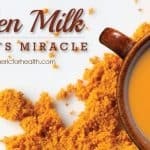 Already, several studies have been done regarding the anti-cancer properties of turmeric. Several clinical trials have shown its potency and efficacy in treating cancer and preventing tumours from becoming malignant. 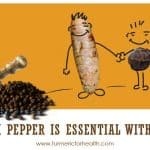 You are spot on regarding black pepper enabling bioavailability. 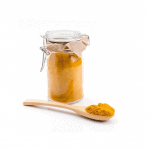 The small concentration of curcumin in tumeric is not well known. How much turmeric root can you eat each day for cancer prevention? 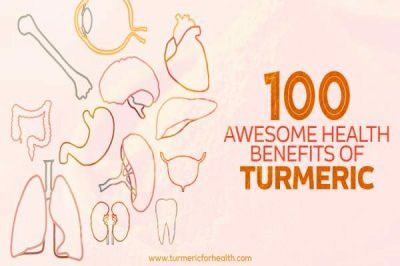 The recommended dosage for turmeric root is 1.5-3g daily. 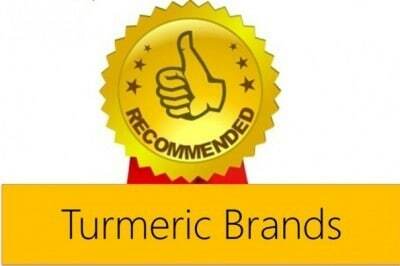 However the active ingredients of turmeric are poorly absorbed in the body. 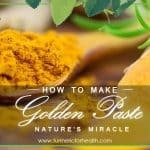 Golden Paste is a recipe that takes care of absorption. You can start with 1/2 teaspoon a day and increase the dose to 1-2 teaspoons 2-3 times a day or how it suits you. I think it is important you get stuff like this correct, because if it is wrong, what else is? Hi Bill. Sorry for the delayed response. 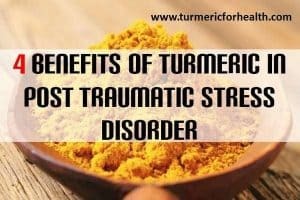 It is pretty fine to use turmeric powder and black pepper powder, together they are therapeutic. Cooking the paste increases bioavailability of curcumin and so does addition of oil so thats a plus. We recommend cooking the paste whenever possible.